The Lab of Labs is a pop-up lab that investigates current forms of lab practices in critical and speculative design, media design and art. It presents itself as a speculative form of research and education, a hands-on approach to forms of thinking that demand a particular infrastructure and protocol. The Lab of Labs responds to the general theme of School of Schools by way of discussing the practices of not architectural schools but the parallel practices, sites, institutions and infrastructures of labs across design and media. 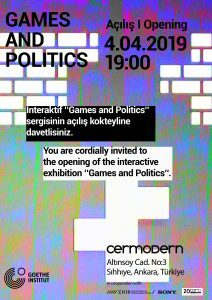 LAB of LABs at the Istanbul Design Biennial is a two day open event on October 19th and 20th consisting of pop-up interventions by Jussi Parikka, Ege Berensel, Ebru Kurbak, Ebru Yetişkin, Tuğçe Karataş, Başak Altın, and others, along with the workshop “objects of interests: objects of control” by Andreas Treske of Bilkent University Media Archeology Lab. It invites practitioners, scholars and students from a variety of contexts to demonstrate what a Lab can do.